A story of friendship, love and restoration. 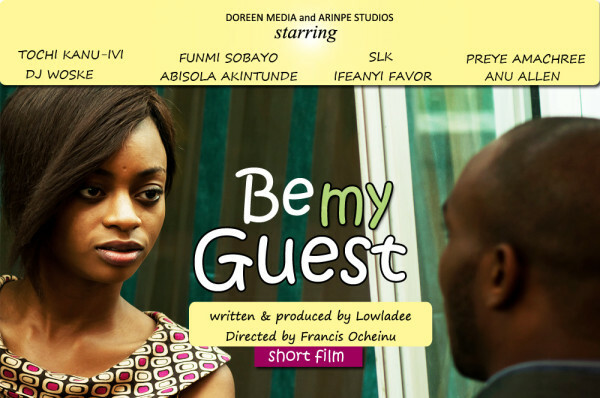 That’s one way to describe this short film titled “Be My Guest” by LowlaDee. Produced by Doreen Media & Arinpe Studios. Screenplay by Lowla Dee, Directed by Francis Ugede. Starring Tochi Kanu-Ivi (Mimi), Kevin (Dj Woske) as the lead characters, also featuring SLK, Funmi Sobayo, Abisola Akintunde, Preye Amachree, Anu Allen and Favor Ifeanyi.